To Enable Dark Mode in macOS Mojave, Before dark mode on Mac users got by extensions in safari or in third-party Apps and it was the most awaited and requirement of macOS users. Finally, they have got what they want. Well, it is not like display gets faded or dim that irritates you. Instead, it is the best theme that will enhance your experience of using macOS. Except for the Trash icon, every single icon of applications like App Store, Finder, Lock Screen and more will remain same. You will see darken your desktop wallpaper and the Apps running on top of it. More, every application when you launch and start to use them such as Safari, Mail, Maps, TextEdit, Pages, Finder, and more. Icons will remain in their original color except for Trash icon. Even the built-in screen wallpaper of desert will turn dark which will give a look of nighttime of the desert when you enable dark mode in macOS Mojave. How do I Enable Dark Mode in macOS Mojave on Mac? At the very first time when you download and install the macOS Mojave on your device while setting up it will ask you to enable dark mode. If you are confused about your decision, then you can later turn on by following steps. Step 1: On the top of the screen, tap “Apple icon” alongside Menu bar. Step 2: Tap “System Preferences” and then Click “General”. Step 3: Now you will find“Appearances” section click on it and then enable “Dark Mode”. So hope right now you enjoying Dark mode in macOS Mojave. Dark mode display mode on Mac- You will notice that the Folders and subfolders look slightly different in dark Mode but no worry its stable and guess you like that. In More, Dark Mode affects the Terminal– in details whenever you change dark and light mode so it does automatically change the terminal preset. So now, I can say that the macOS Mojave’s Dark Mode puts Windows 10’s to shame. LOL! How to Disable Dark Mode in macOS Mojave? Only you have to follow the same above procedure and then enable Light Mode. Dark Mode will be disabled simply. How to Get dark mode in Third-party Mac Apps? Apparently, there is a lot of work remaining to enable dark mode in each app; you won’t get by default in macOS. For now, the developers of applications have to design the user interface with their own dark theme. Most of the apps support Dark Mode from very first, but you have to turn on the dark mode. If you don’t find any options of dark mode internally, then you have to ask or request the developer to add dark mode. The best part is from now onwards every new application and update of that application will consist of dark mode. And so the users can get the benefit of the dark mode in every single application. If you want your macOS more colorful and attractive, then you can also customize the appearance in macOS Mojave. Do you know the guy where to accent color used? Accent color used for Buttons, dropdowns, checkboxes, selections in lists, window Accents, and menu selections. Before Mojave was released, macOS only provides two Colors, blue and graphite. But now with Mojave, you can change Colors and select from the popular red, orange, graphite, green, pink, purple and blue. In short, now in macOS Mojave, you have a bunch of colors instead of just graphite and blue buttons colors. 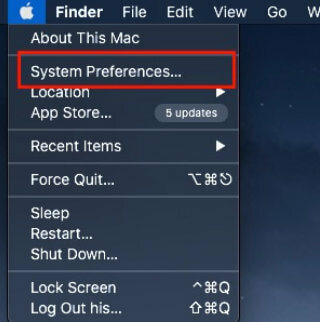 At All, the macOS Mojave dark mode settings in system preferences that won’t force dark mode for All Apps, it just only works Apps that support it!